You know what we personally don't think gets enough airtime at Halloween? Baked goods. That's right! You've got your funny food costumes and even a wide array of fruit to choose from. But if you're someone who loves to bake, you may find yourself whisked out of the dress-up game in favor of hilarious candy costumes, pizza masks, and big ole bunches of grapes. No more, we say! Make way for cookies, cakes, scones, and biscuits (anyone else getting hungry from this?). 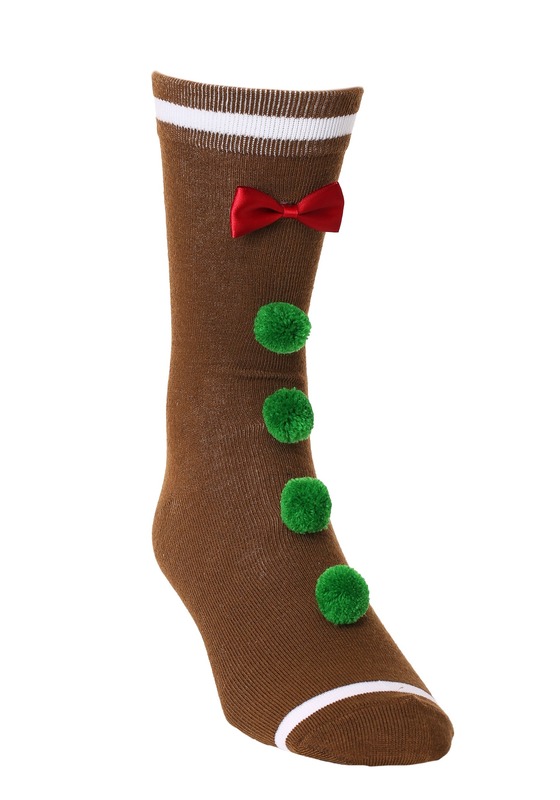 You spoke, we listened, and now...ta-dah!...these The 3D Novelty Gingerbread Man Crew Socks are here to help you get your cookie costume off to a running start. This brown pair may seem basic...from the back. But spin on those toes and prepare to tempt everyone's taste buds! That's because your feet and ankles are bedecked in a Gingerbread cookie's "button" pom-poms, with a white "icing" line over the toe and calf, as well as a sweet red bow tie! 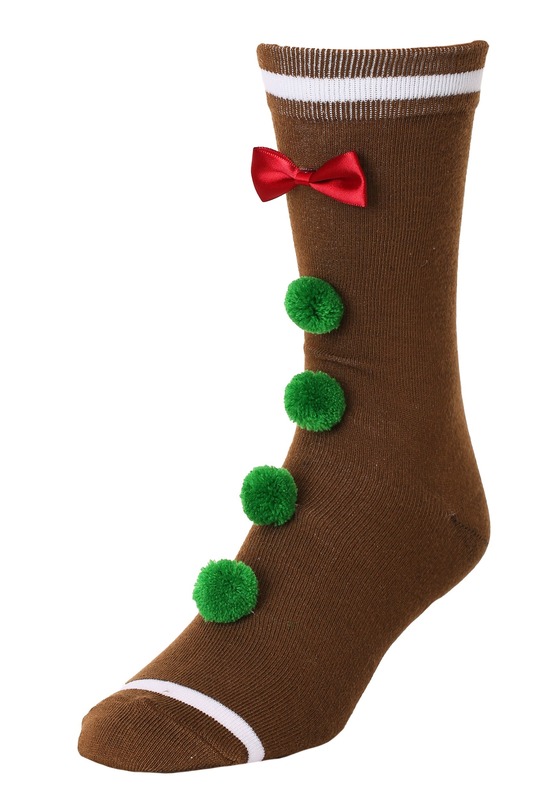 Wear them at the bottom of a full-on gingerbread costume, or just sport 'em solo for a bit of sweet fun! Run, run, as fast as you can—toward your baking passion! We're catching up to the trend with these cool socks that will leave your mouth watering.